Spain - a popular destination for many travellers - is fascinating due to the incredible diversity of what the country has to offer. It's not just about golden beaches on the Costa del Sol, cheap booze and cigarettes… and visiting the many English-owned pubs! 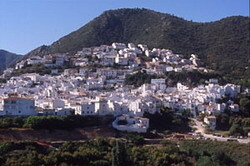 While the coastal areas are great - with many attractions for young and old, just a few miles inland from any coast you will find sheer beauty - magnificent landscapes - beautiful traditional villages (relatively unchanged in 100's of years) and a taste of the "Real Spain" to quote the commonly-used cliché! If you are planning on a visit to the Costa del Sol, think carefully about where you would like to stay. I would thoroughly recommend not just booking one hotel or apartment for your holiday, but 2 or 3. Maybe start off on the coast, and work on your sun tan, then move to one of the fascinating inland destinations - for instance Ojén .. a beautiful white village on the side of a hill - gorgeous views, friendly residents, and only a mere 7 kms drive from Marbella. 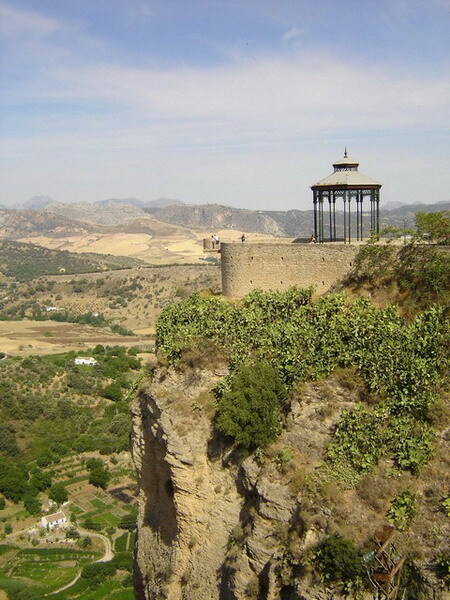 Make a definite plan to stay in Ronda - a hilltop city of enormous historic wealth. Ronda requires, I think, a minimum of a 3 day stay to ensure you visit all the many, many attractions in this fascinating city. Roman and Moorish ruins, incredibly beautiful views, and the famous gorge and bridge add up to a interesting visit. If you are a photographer, like me, you will think you have died and gone to heaven…! Another interesting option is the many Paradores of Spain in the Andalucía region. While they can be a tad pricey for the average tourist, why not spoil yourself, even for just one night - and sleep in a renovated castle, palace or monastery in sheer luxury. View the full range of Paradores of Spain.